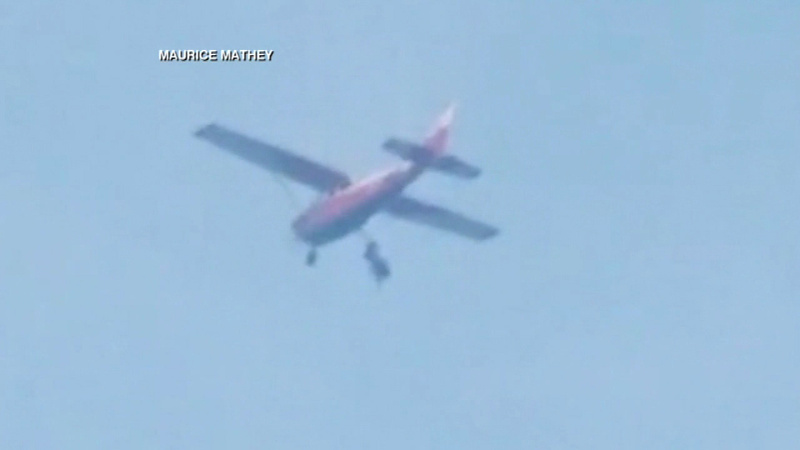 PERU (WLS) -- A skydiver in Peru hadn't even left his plane when something went wrong. This experienced diver got his pant-leg caught on the plane. He found himself hanging upside-down at 10,000 feet in the air. People on the ground could do nothing but watch and hold their collective breath. For 30 minutes, the plane circled until the man finally pulled out a knife and cut himself free. He made it to the ground safely with only a minor cut on his hand from the blade that saved his life.